Buy stock photos at iStockphoto, Shutterstock, Dreamstime, Fotolia, Pond5 and Alamy. iStockphoto is the web’s original source for user-generated, royalty free stock photos, vector art illustrations, stock footage and audio for print and use on websites and presentations. Shutterstock is the largest subscription-based stock photo agency in the world. Every day they add thousands of photographs, illustrations, and vectors to their collection of royalty free images. Dreamstime is the world’s largest collection of free & royalty free stock photos. Download from over 31 million photos, illustrations & vectors. Founded in 2006 Pond5 focused on selling video clips until the acquisition of Pixmac in 2013. It now has an extensive collection of stock photos. Contributors set the price of their images and receive 50% of every sale. Bigstock – a marketplace for quality stock images, they offer over 24 million royalty-free photographs and illustrations from talented photographers and artists around the globe. Depositphotos – Over 50 million high-quality royalty-free stock images and high-definition footage at the best prices to fill all your creative needs. Mostphotos offer both professional and amateur photographers and illustrators a user-friendly, fun and fast service to sell digital media. Their ambition is to provide customers all over the world with locally inspired, authentic media content. 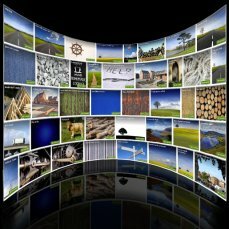 Alamy are the world’s largest stock agency with over 50,000 photographers. They have a vast and varied collection of stock photos priced from £9.99. Each batch of images uploaded goes through Alamy’s stringent quality control. This is to ensure they are of the highest quality.